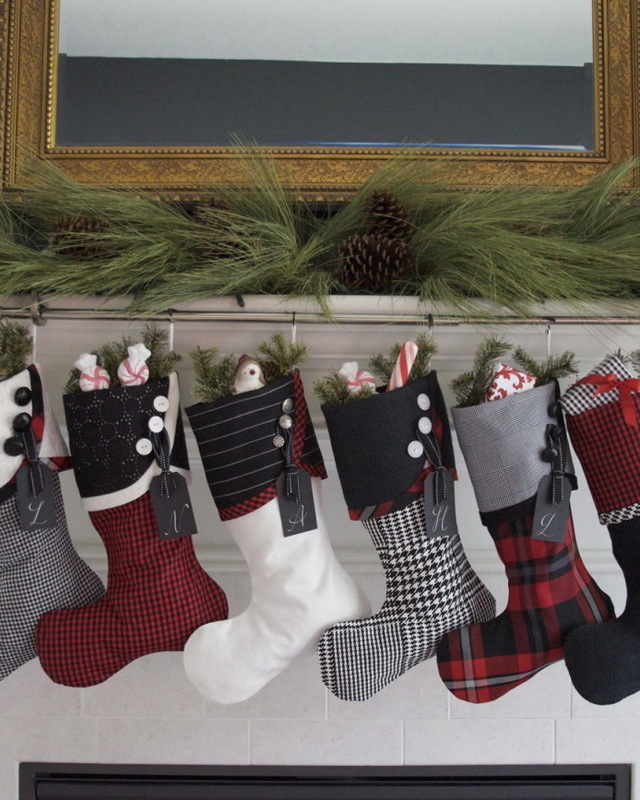 Plaid stockings have an interesting, cozy look. 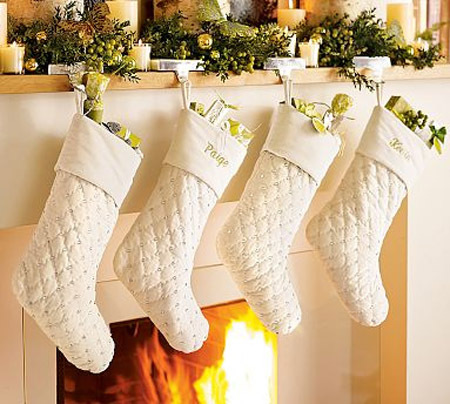 They are perfect touch to your decor during cold winter days. 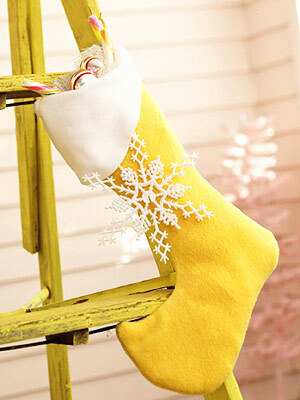 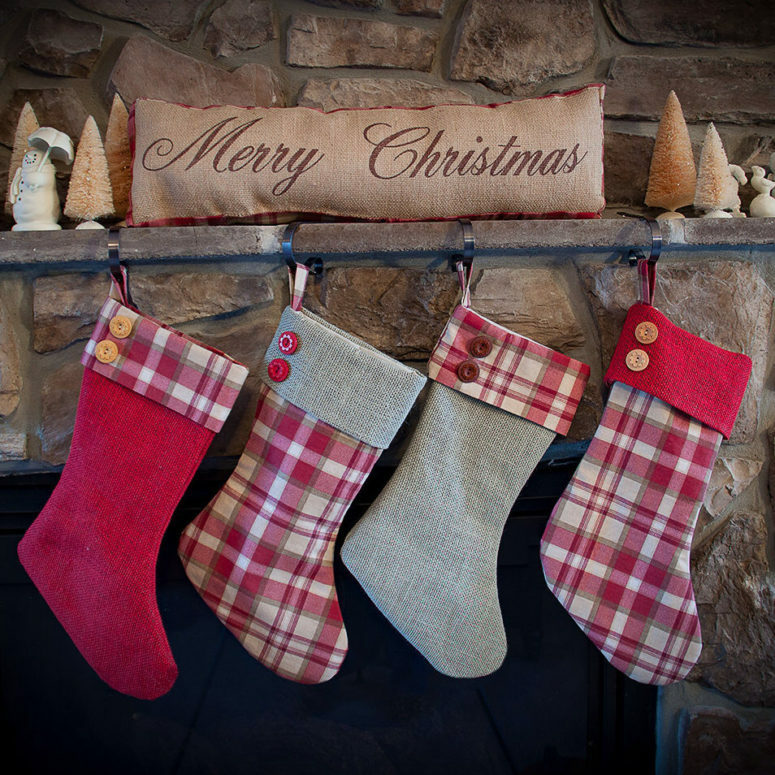 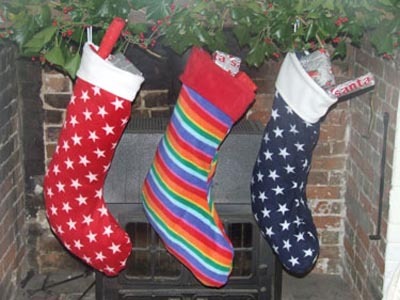 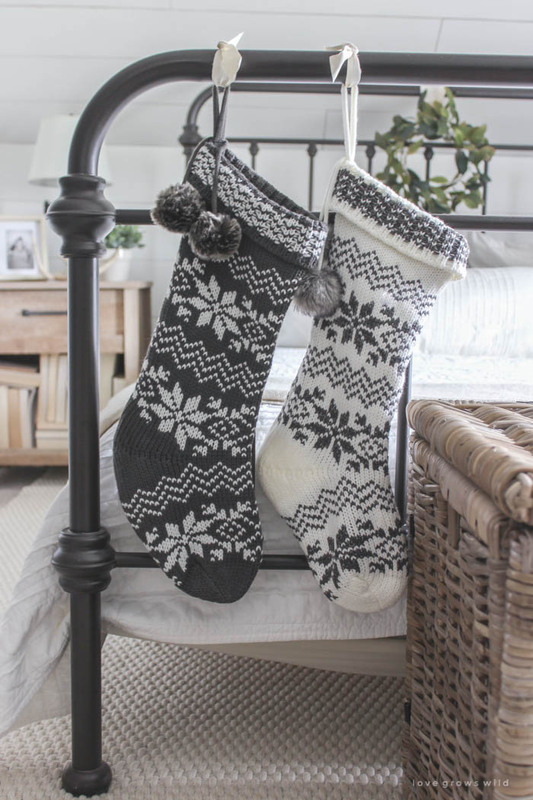 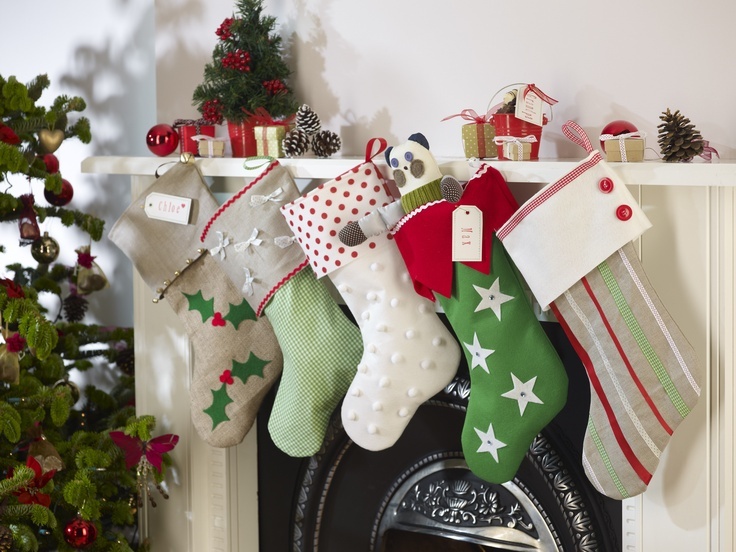 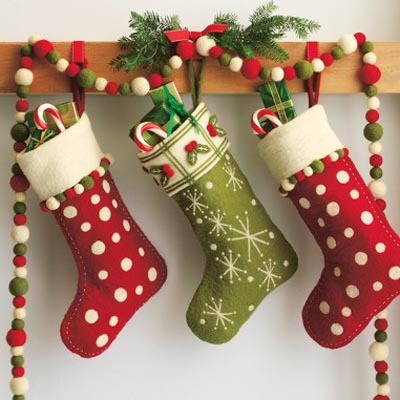 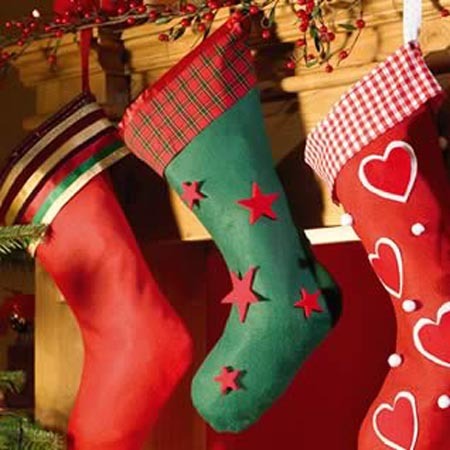 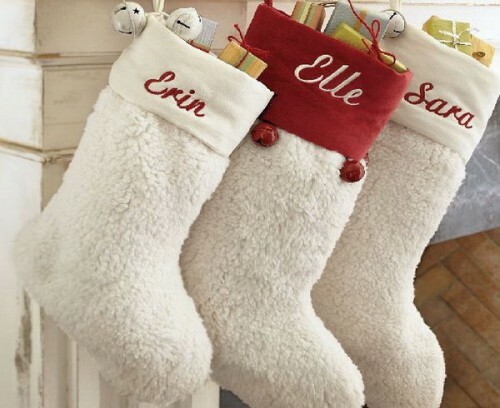 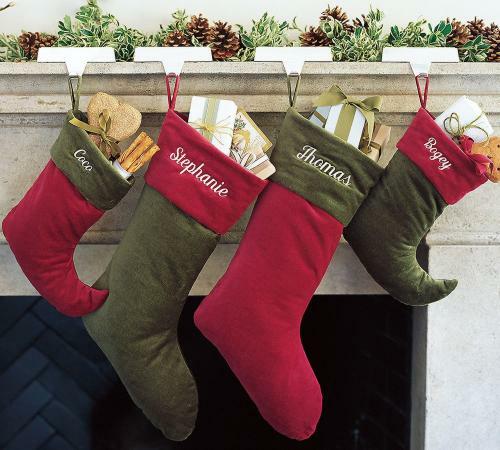 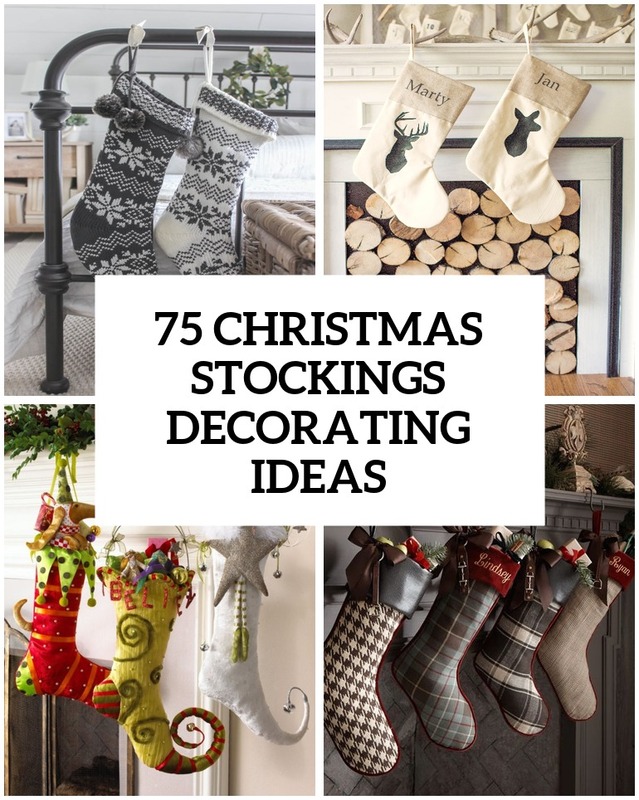 From pom-poms to stripes, colorful Christmas stockings are a great addition to any home. 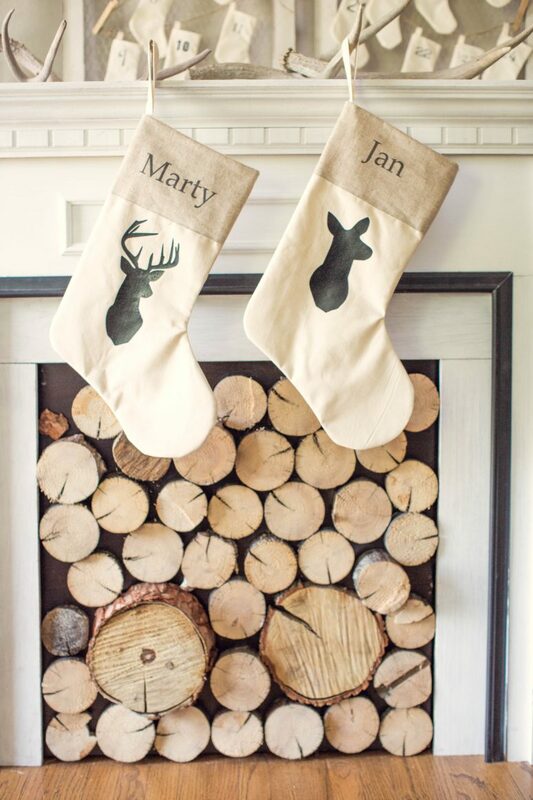 Do you have antlers lying on a mantel or a shelf? 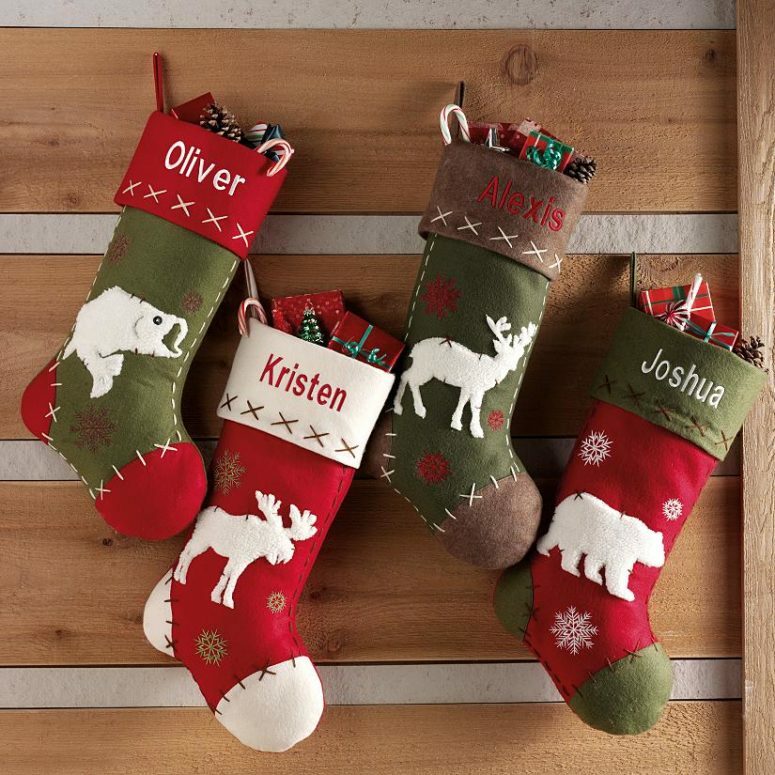 If so, they decorate your stockings with deer silhouettes and hang them on these antlers. 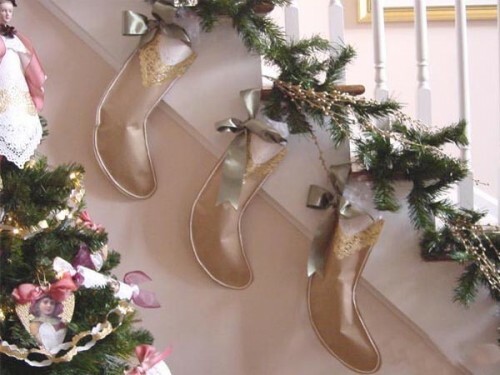 You can hang a stockings garland virtually anywhere. 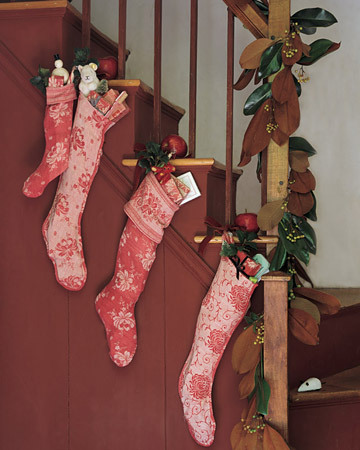 Staircase's railing is a quite obvious choice. 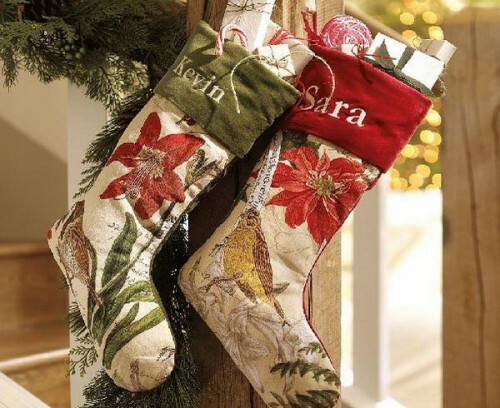 Cross-stitched Santa, snowman, Christmas tree and other traditional motifs looks great mixed together. 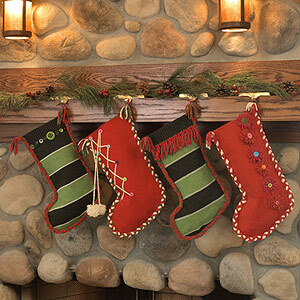 These felt socks, cut with scallop scissors is a great example of how you can mix and much similar colors for a more sophisticated mantel decor. 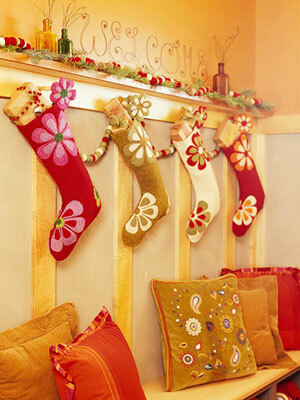 Decorate the stockings with candy cane appliques to make them even more desirable for your kids. 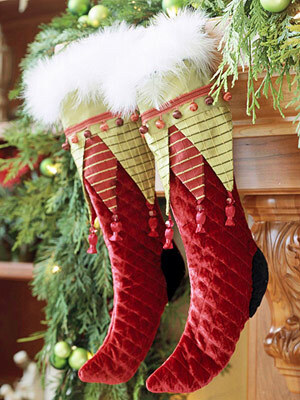 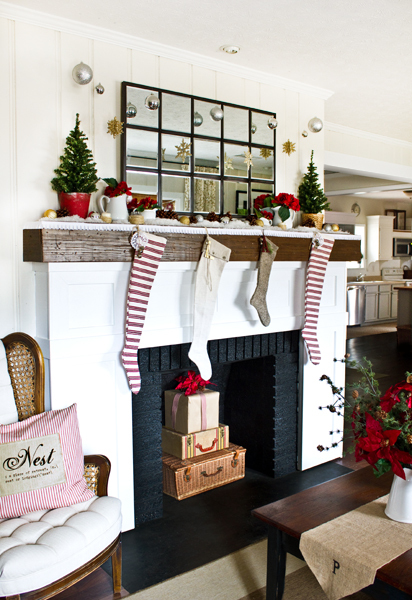 An elf stocking on your mantel could always make your kids smile with its fun pointed toes. 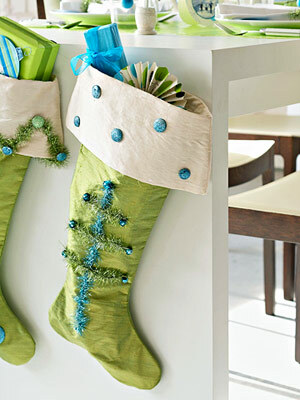 Just make sure to make these stockings in the color scheme that match your decor. 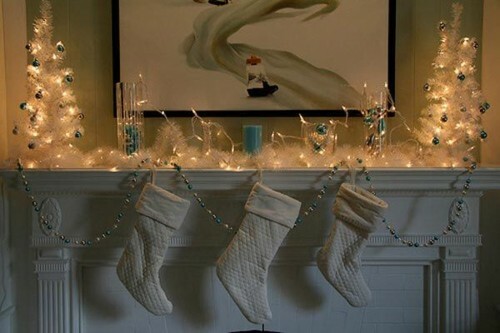 Repurpose a bunch of towels into an awesome Chrismtas mantel decor. 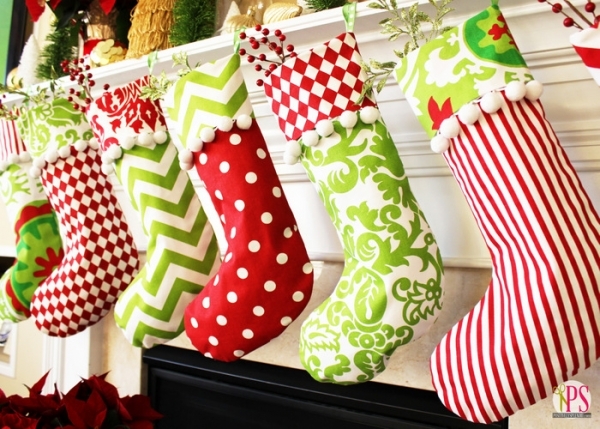 Take a break from kitschy patterns and try out some bold, colorful ones. 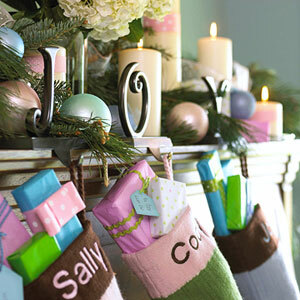 Stockings-inspired place cards are great things to add to your festive holiday table setting. 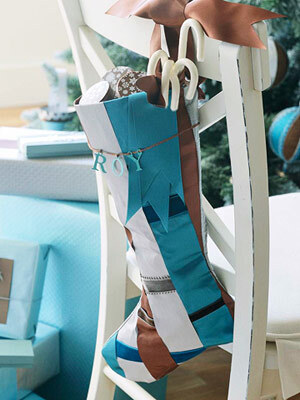 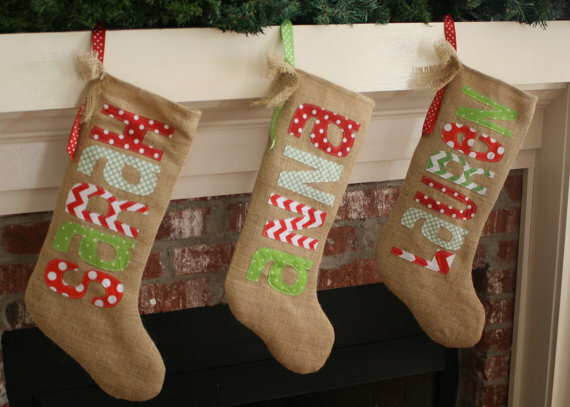 Here is a very cool and creative stocking alternative. 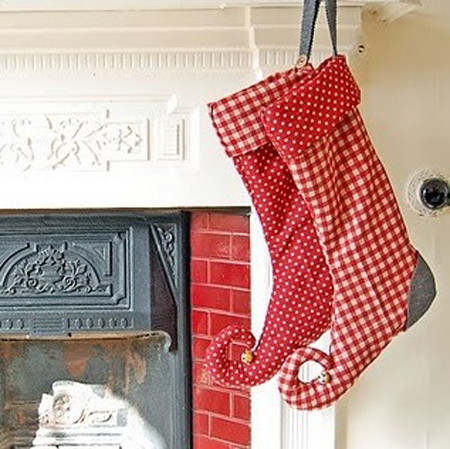 It'd work great as wall decor somewhere on a kitchen. 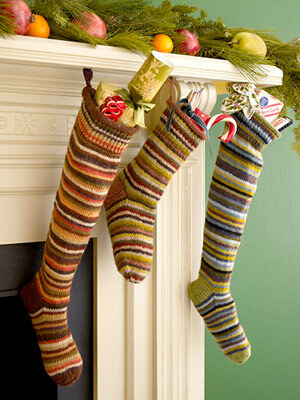 Mix and match colorful handmade stockings that invite stuffing. 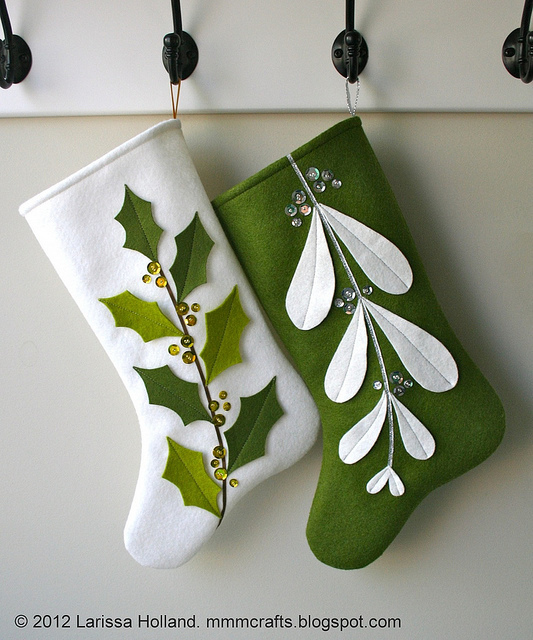 These felt socks is a great example of how you can do that. 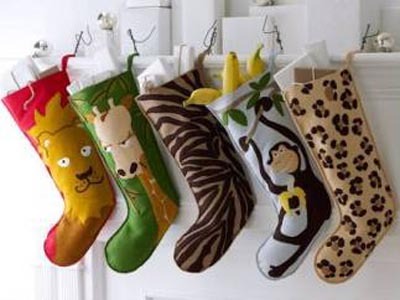 To make your kids happy embellish stockings with their favorite animals. 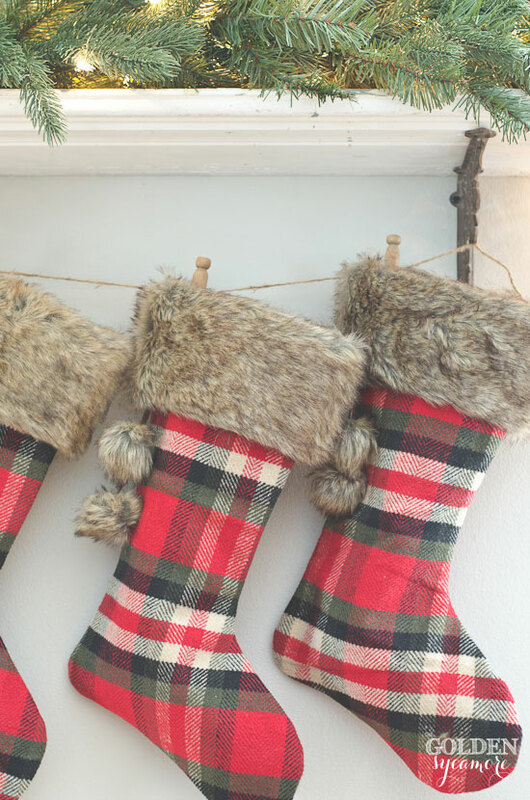 Pom-pom fringe is one of those things that always looks cute. 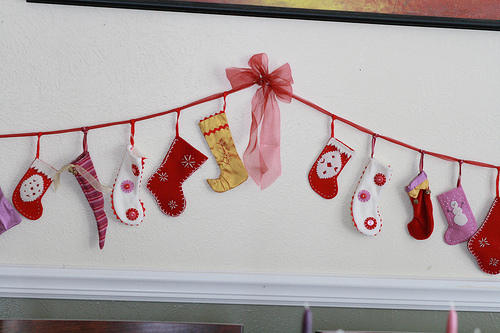 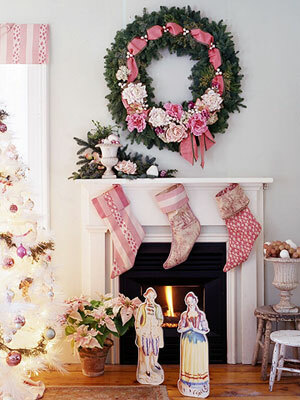 Cute little faux stockings are perfect to make a garland. 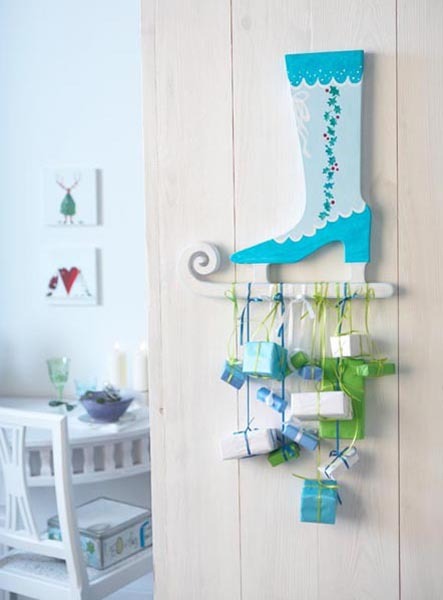 You can hang it anywhere to add a splash of color to your decor. 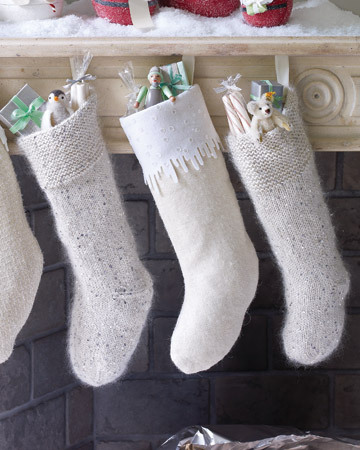 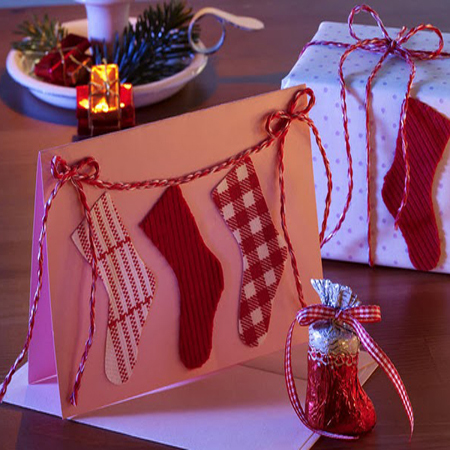 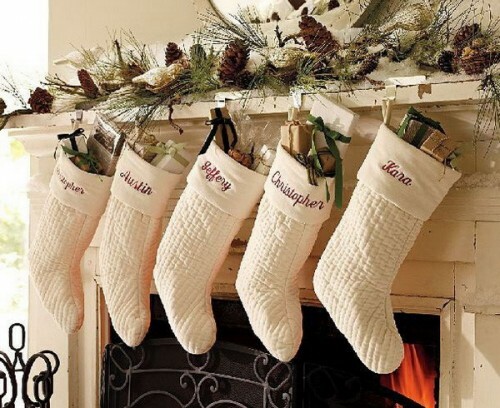 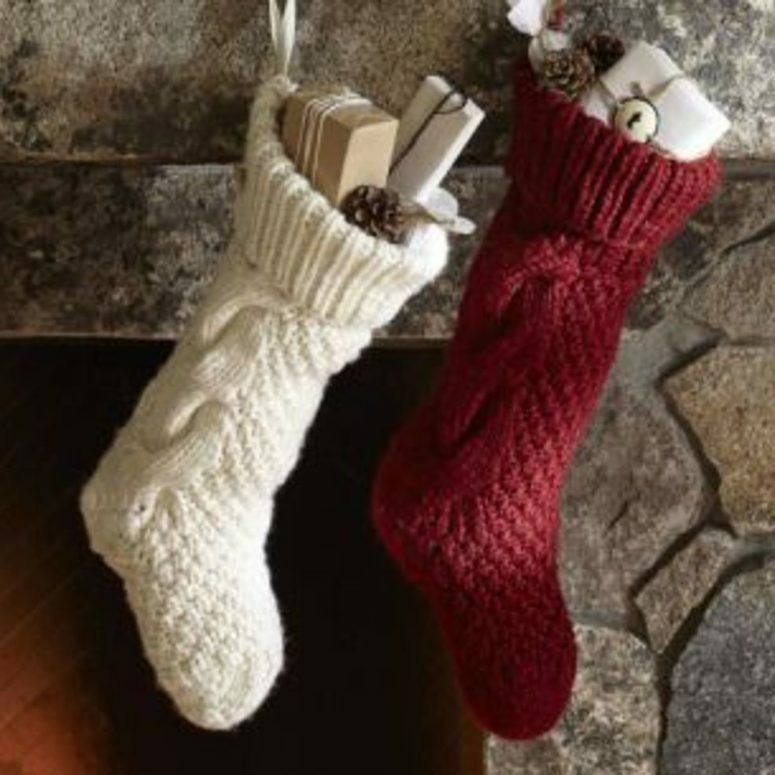 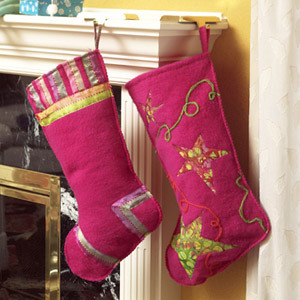 Mini stockings could hold small gifts and you can hang them onto lots of things. 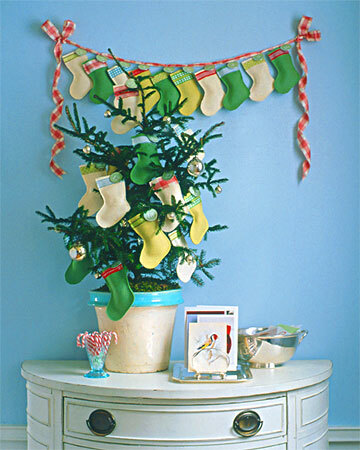 For example, they could become ornaments for a small Christmas tree. 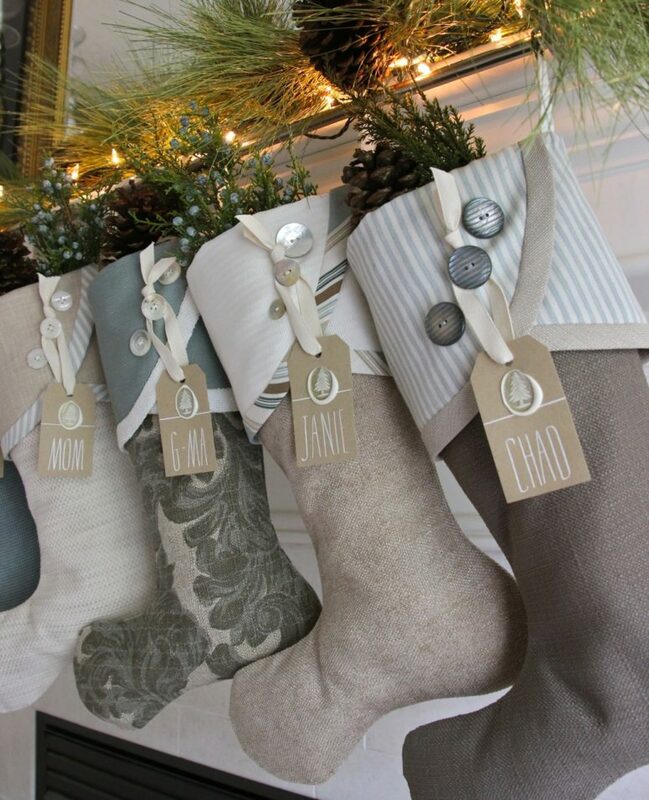 Cool thing about socks in neutral colors that they will always match other decorations. 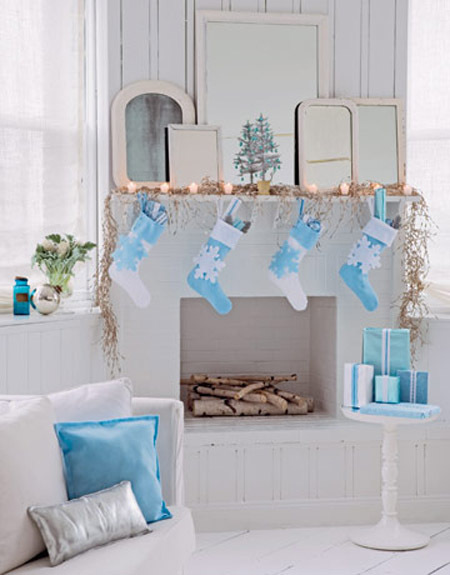 Stockings in quiet hues with touches of blue, grey and white are perfect to create a sense of magic in Scandinavian interiors. 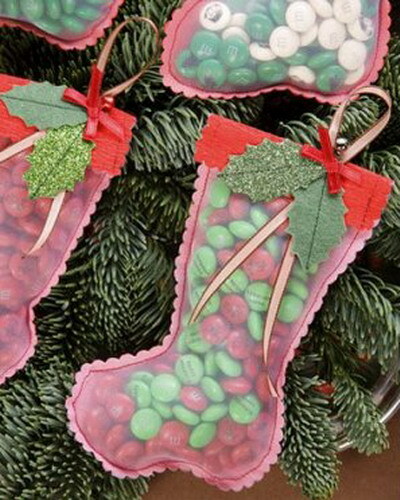 Transparent sock-shaped bags with candies are perfect to hang on a Christmas tree. 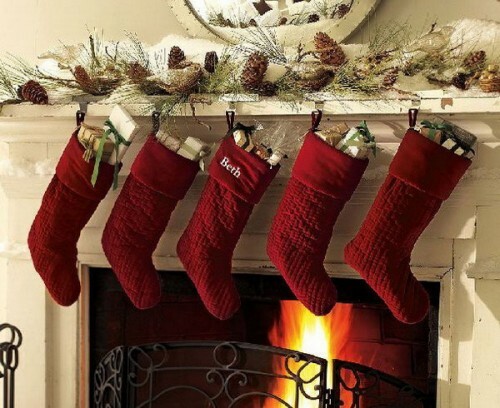 Just make sure not to empty them too early. 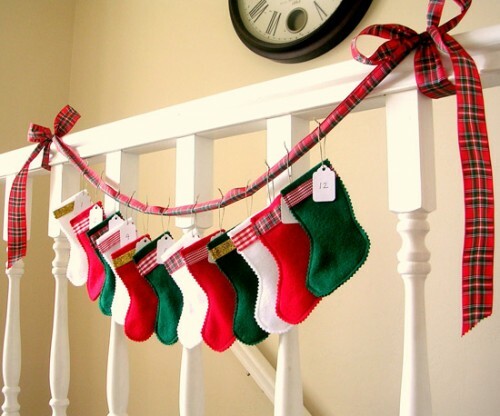 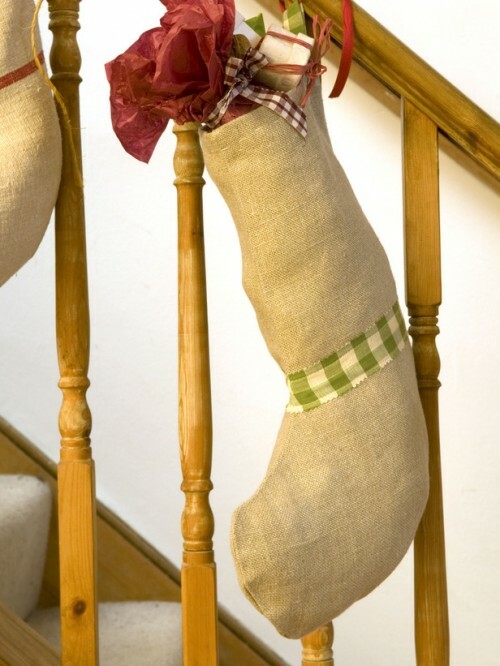 If you don't have a mantel, then a staircase is the next best thing you can hang Christmas stockings on. 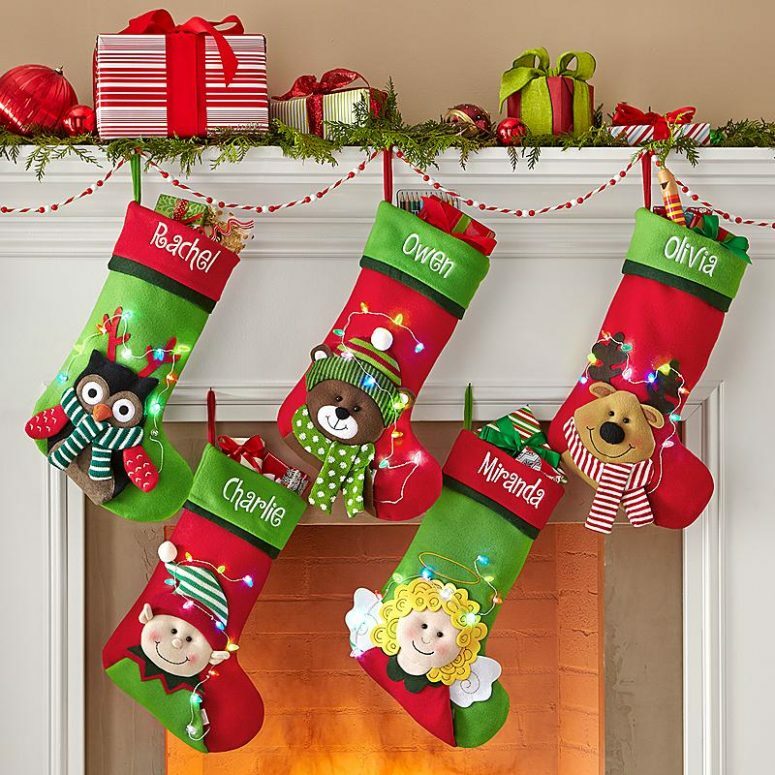 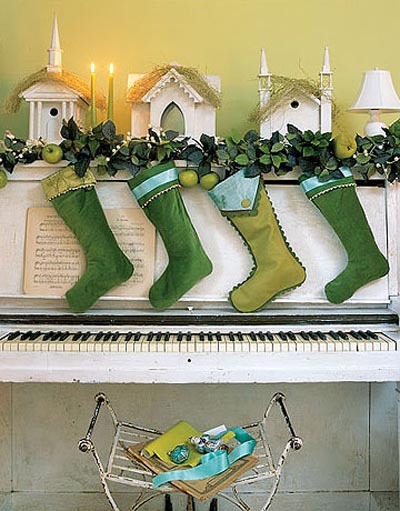 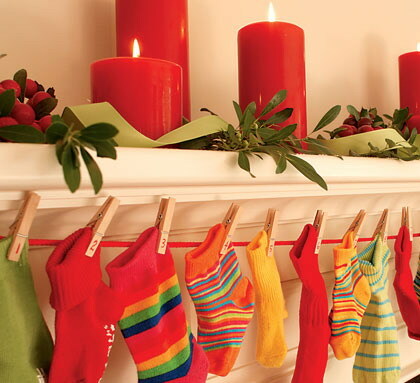 A collection of socks of your little ones in festive colors looks adorable along any mantle or railing. 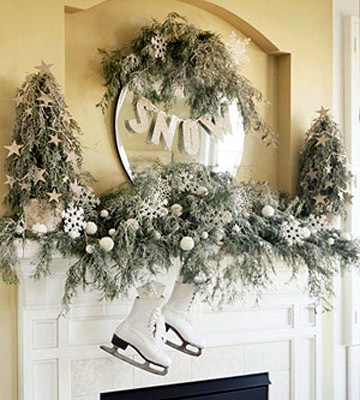 Vintage ice skates is a quite creative alternative to traditional socks. 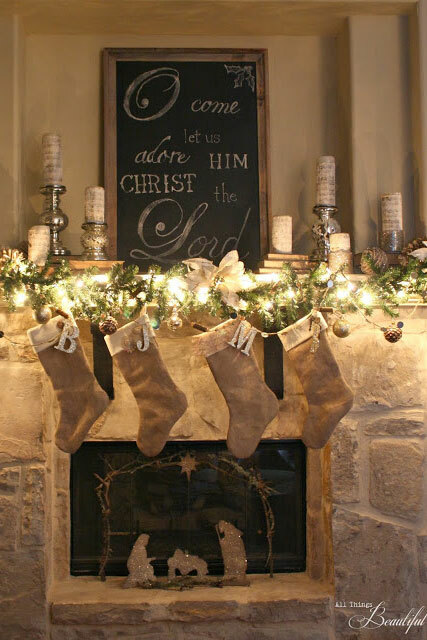 They looks great hanging above the fireplace. 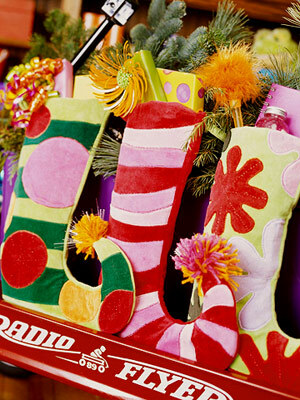 Rain boots is a very creative alternative to traditional stockings. 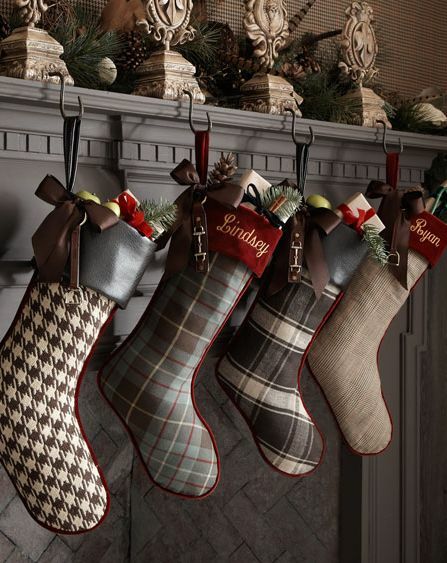 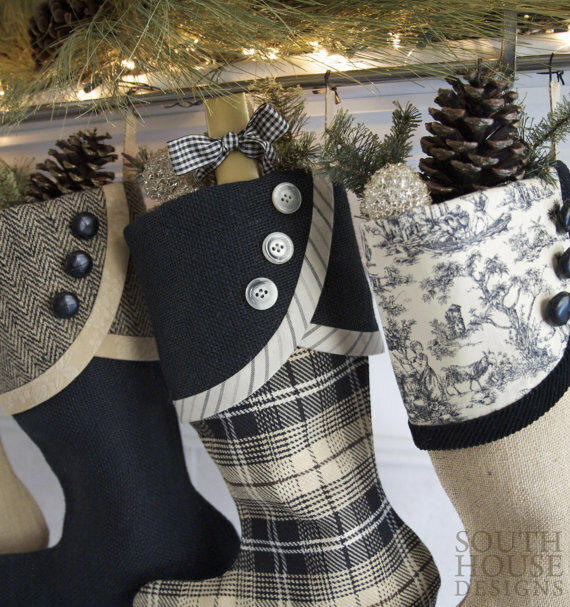 Beautifully-patterned stockings in unconventional shapes could make your Christmas decor much more cool and funky. 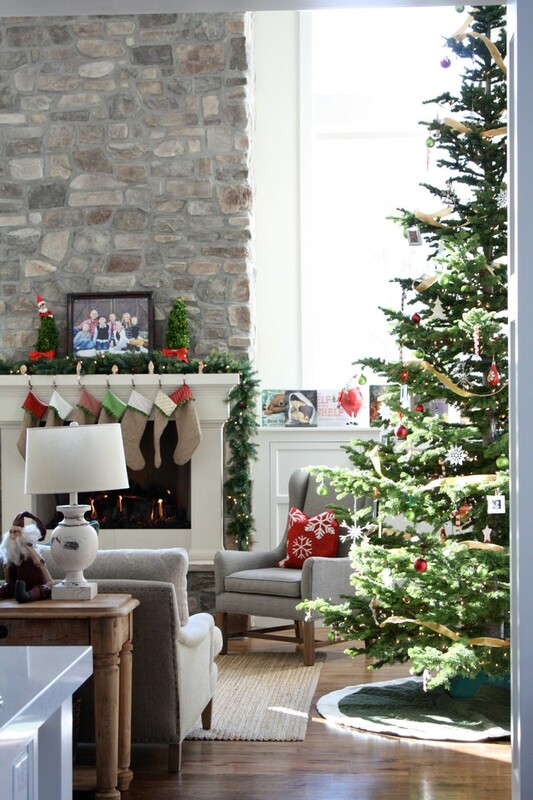 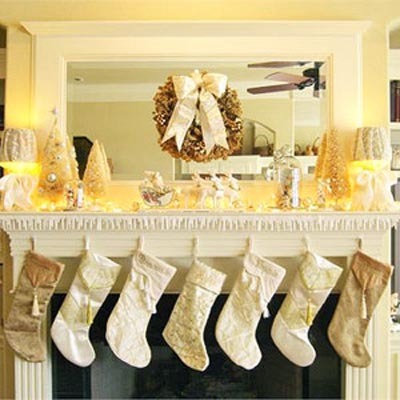 Add some Christmas lights on your mantel to highlight your stockings arrangement. 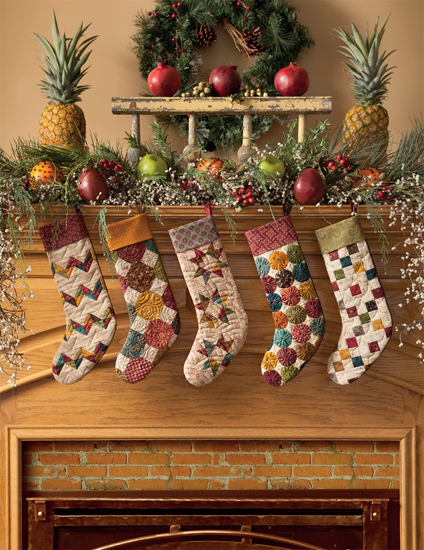 Colorful socks in crazy patterns is exactly what the holidays were missing. 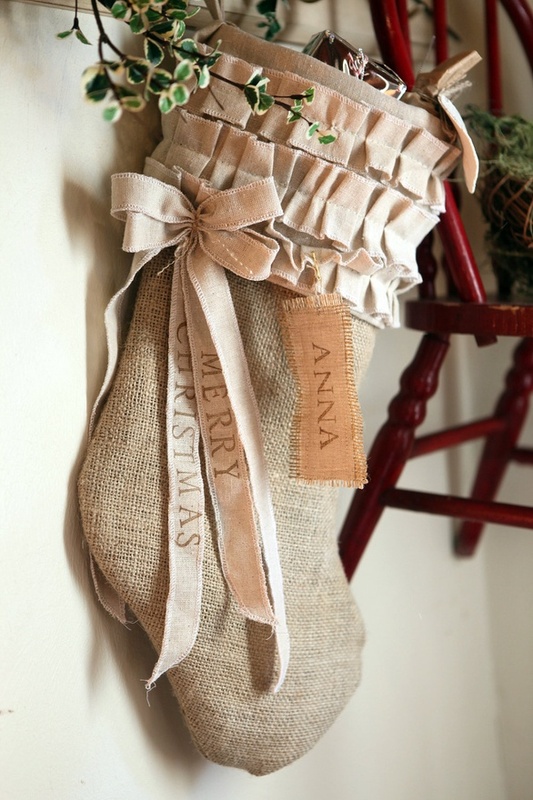 Decorating with burlap is a great way to add some coziness to your decor for fall and winter. 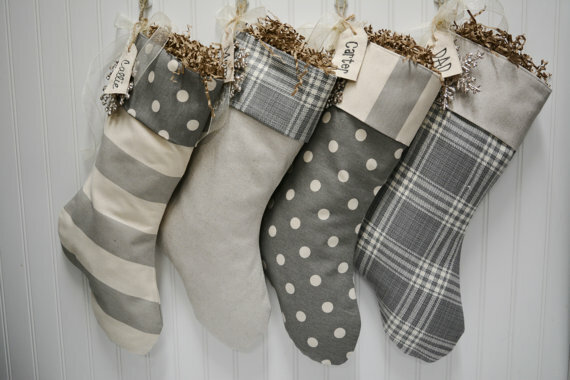 Why not to make Christmas stockings from this awesome material, right? 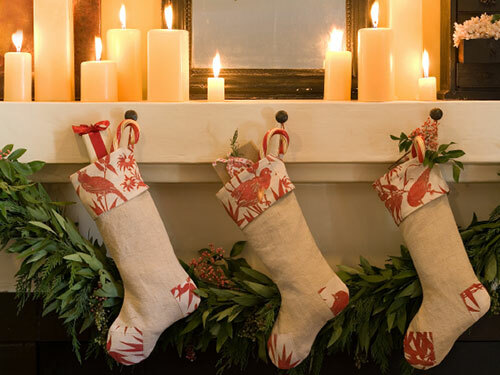 Florals aren't the first thing that come to mind when thinking about the holidays, but why not? 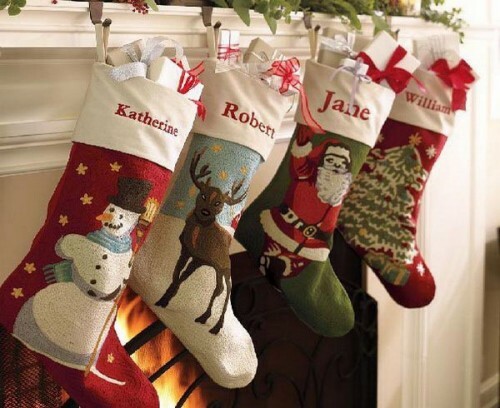 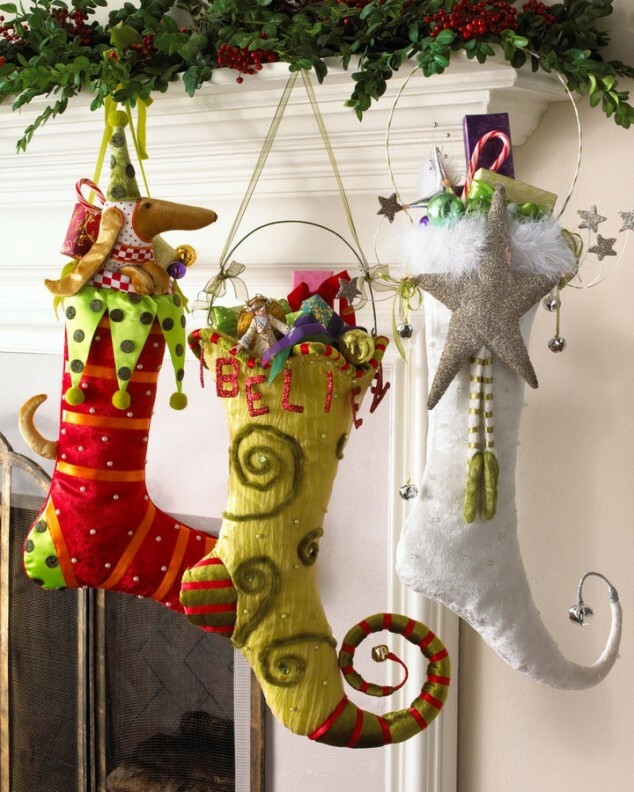 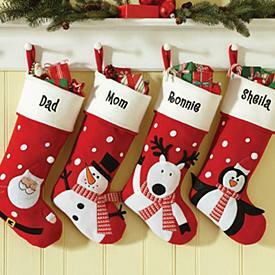 Santa, Penguin, Snowman or Reindeer are perfect decorations for stockings to make them more cool and fun. 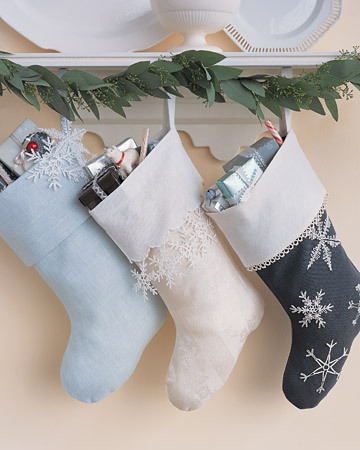 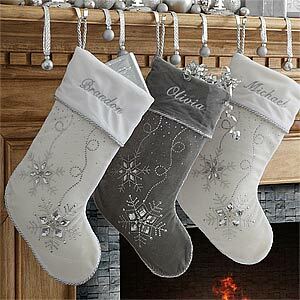 Snowflakes are perfect to make stockings more interesting. 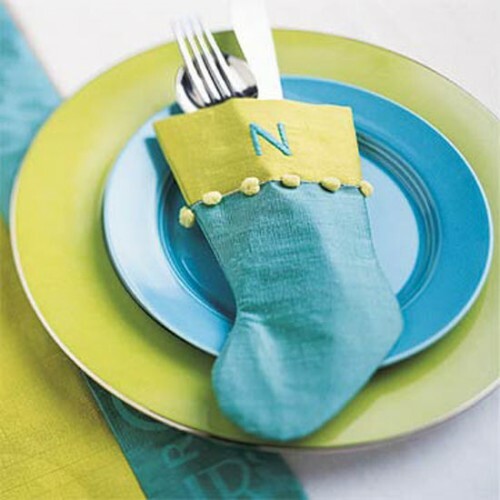 If you're preparing a festive table setting than hanging stockings on your guest's chairs is a great way to show them how important they are. 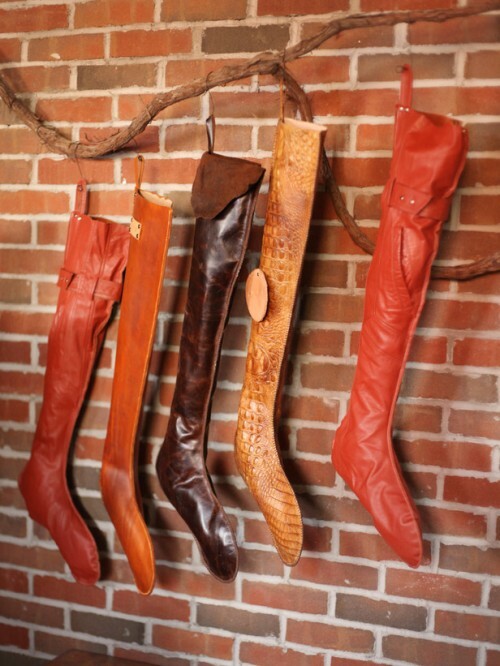 Leather stockings on a twig is a kinda unusual but cool solution for rustic settings. 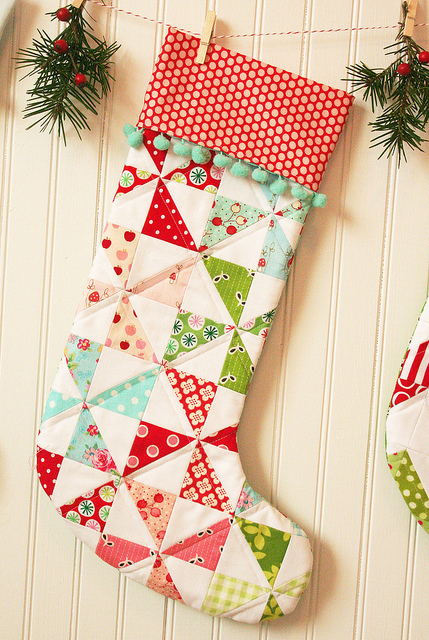 If you or your grandma has got a few old holiday tablecloths you can turn them into cool stockings.